Gary Gygax, famous as the co-creator of the legendary fantasy RPG Dungeons & Dragons, has died. His passing was first reported on the Troll Lord Games forums. Details of the cause of death were not released, but CNN noted that he had been struggling with ill health for several years, including an abdominal aneurysm, and had suffered strokes in 2004. Gygax was involved with gaming for most of his life, forming the International Federation of Wargamers in 1966 and then in 1967 holding a small get-together of tabletop gamers in his basement that would eventually become known as the first Gen Con. But he would become best known for founding a company called Tactical Studies Rules, better known as TSR, and publishing the original Dungeons & Dragons in 1974. D&D would go on to become the prototypical tabletop role-playing game, spawning countless imitators across numerous genres and becoming a cultural touchstone for an entire generation. Gygax left TSR in 1985, going on to create to create new tabletop gaming systems Dangerous Journeys in 1992, and Lejendary Adventure in 1999. 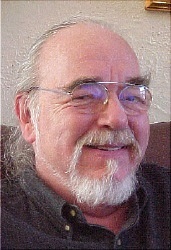 Gygax is survived by his wife, Gail, and six children. He was 69.